The Cartagena nightlife has improved a lot in recent years. I used to find Cartagena slightly disappointing in terms of variety of bars and nightclubs considering its popularity as a tourist destination. But there are now some excellent places to party dotted around the city. The old city abounds with classy restaurants catering to national and international tourists. There are also plenty of cafes and bars for a pre or post meal drink. Perched up on the western ramparts of the old city is Cafe del Mar, one of the most popular bars in Cartagena, principally for its spectacular views out over the Caribbean Sea and of the skyline of Bocagrande along the shore to the south. 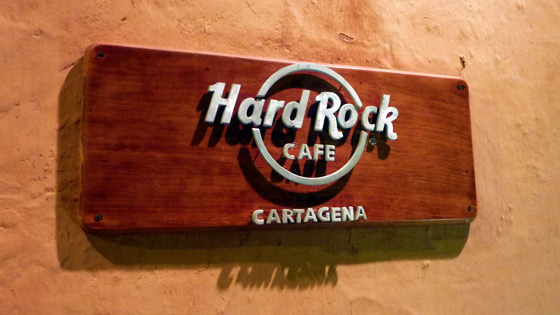 Also popular is Cartagena's Hard Rock Cafe located on Plaza de la aduana. The bar is on the second floor with some nice views over the plaza. Some of the outdoor plazas are also a good option for a cool beverage whilst soaking up the charm of the old city. Plaza de los Coches inside the main gate and Plaza de Santo Domingo are the two most frequented. The Old City can be a little bit lacking in terms of nightclubs. There are a couple of decent clubs on the Plaza de los Coches that attract a big crowd even early in the week. A good bet is Tu Candela bar that plays a mix of salsa and western music. Electronic parties are frequently advertised by reps on the streets of the old city. If you're on the pull / looking to pick up (depending on your vernacular) keep in mind though that some of the night spots in Cartagena's old city are popular hang outs for prostitutes. A better option for Cartagena nightlife, particularly nightclubs, is the sector of Getsemani, just outside the old city. The majority of the bars and nightclubs are located along Avenida del Arsenal which starts at the Centro de Convenciones and continues for about half a kilometer to the Puente Roman (Roman Bridge) which connects Getsemani to the island of Manga. Discoteca Mister Babilla (Calle 24 No. 8B-137), which plays a crossover of mainly latin music, is among the most popular nightclubs. Also located in the Getsemani district is the excellent Cafe Havana. 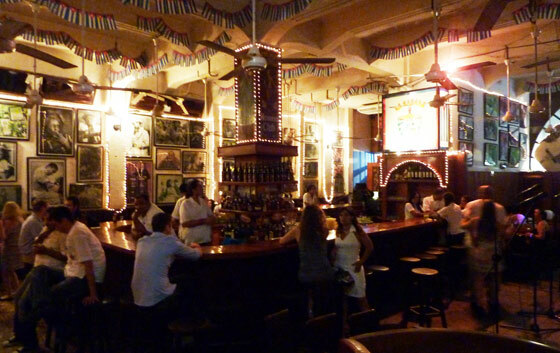 This cafe/bar/restaurant is a fantastic place in Cartagena to listen to live latin music and the rustic decor adds to the feeling of being in the Cuban capital. The Bocagrande nightlife scene improves year on year with the opening of more and more bars and nightclubs the majority of which are found along Avenida San Martin. Check out this site's main guide to the city of Cartagena de Indias.